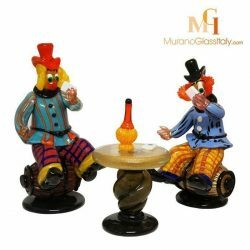 Ditch “safe” design objects in favor of creative accents and personal touches to make your home feel one-of-a-kind – just like you. 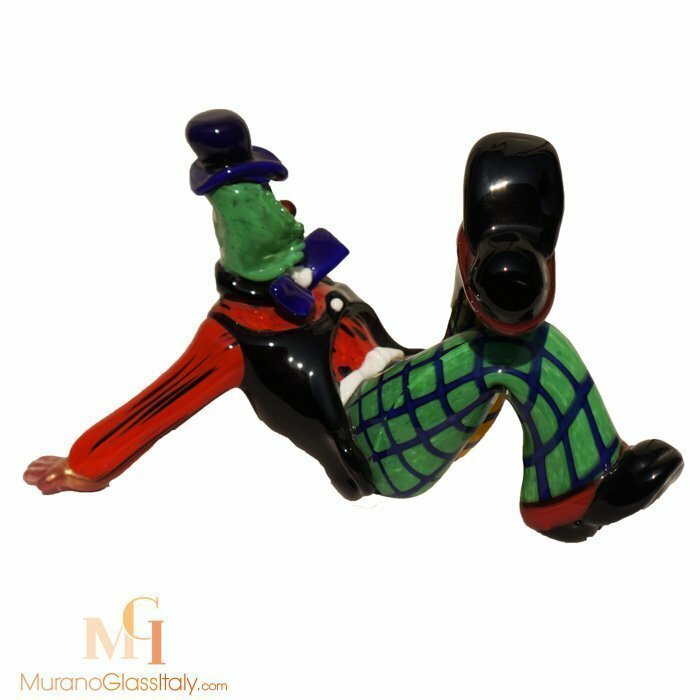 The displayed Bombolo clown is a playful statement piece. 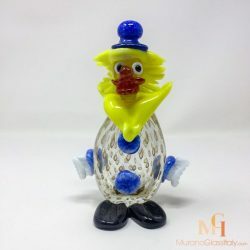 Focusing on bright colors and comical expressions. 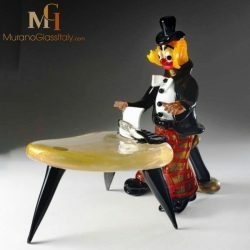 This sculpture has a modern edge and add personality to a space. 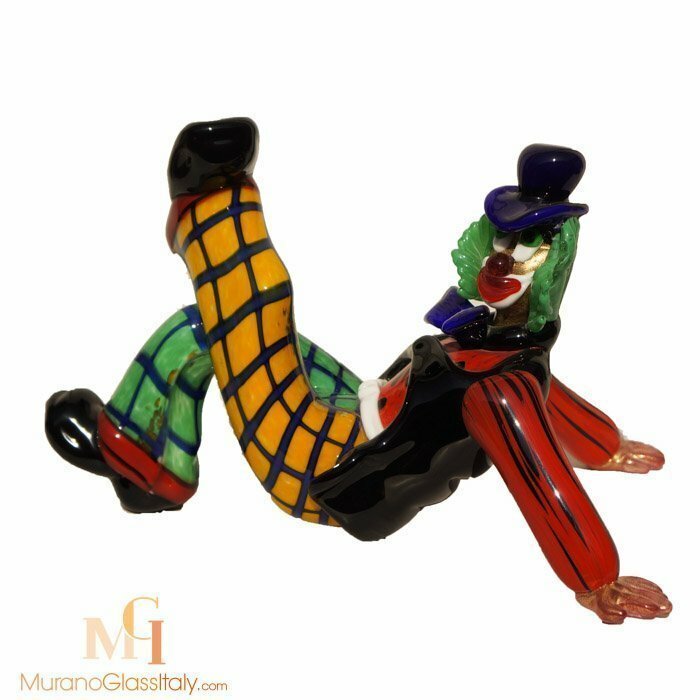 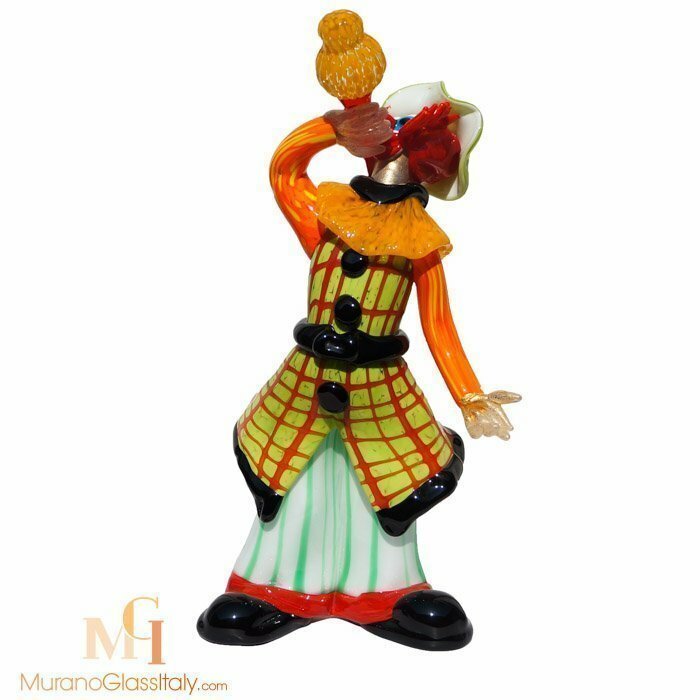 The Murano glass clowns are signed by the artist, labelled by the atelier and certificate of origin is provided.